Teeth grinding and/or clenching is also known as bruxism, and occurs during the daytime, but more commonly at night during sleep. This is an extremely common problem amongst many patients, particularly ones who suffer from high levels of stress. There is also potential that people with bruxism may have undiagnosed obstructive sleep apnoea. It is quite surprising that many people who suffer from bruxism are unaware of the condition. However, there are some very obvious signs and symptoms which may indicate the presence of grinding and/or clenching habits. 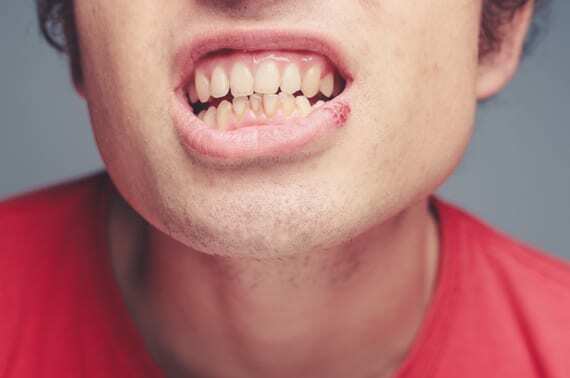 Without prompt treatment, bruxism can lead to extensive and permanent damage to your teeth, with the nerve exposed in severe cases. Do not suffer silently. Give us a call today to arrange an appointment with our dentist and discuss how we can break the habit. We are here to help.